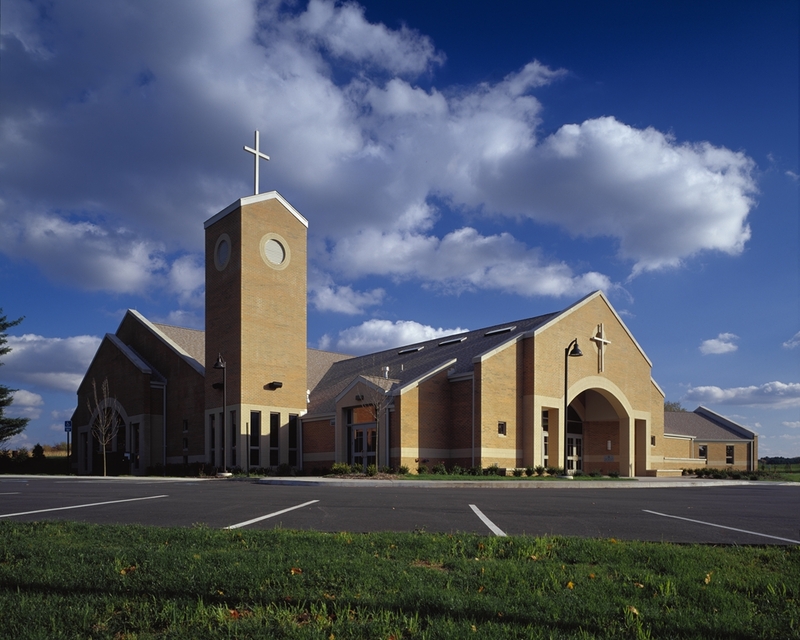 The Holy Sepulcher Parish engaged RSSC to design a parish center to accommodate its growing congregation. 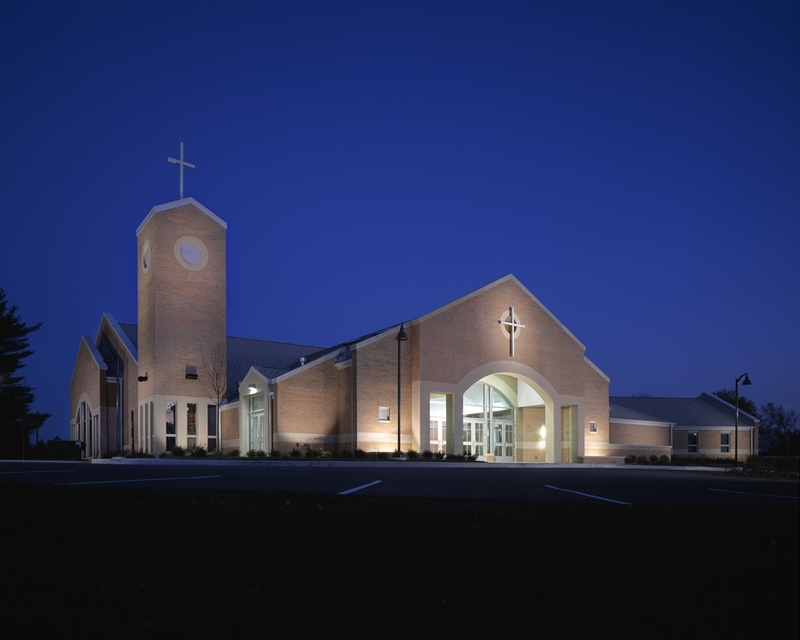 The new addition includes the main church, a separate day chapel and an administrative wing with offices and several meeting rooms. 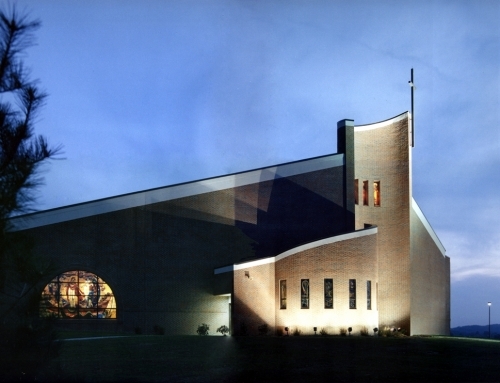 Many design elements within the building are reminders of the Roman Catholic tradition in Western Pennsylvania and parish history itself. 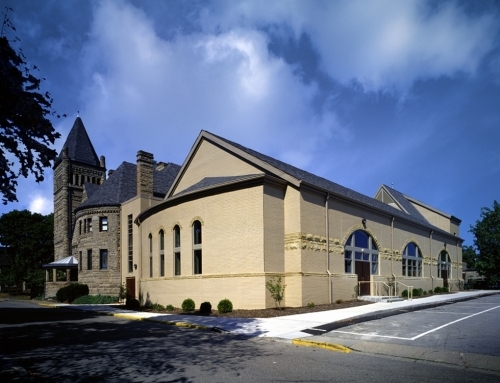 For example, the stone wall in the sanctuary and at the day chapel use stone from the same quarry that supplied stone for the original 1955 church building. 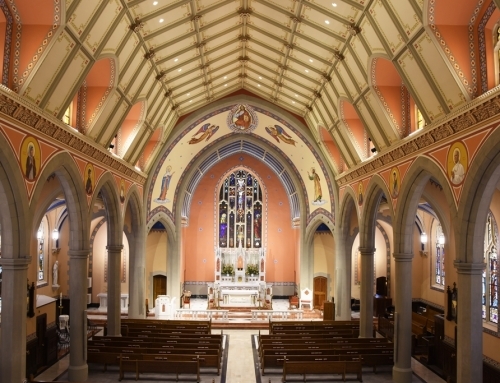 Various stained-glass windows, salvaged from St. Michael’s Church on the Southside, were included as feature windows throughout the facility including a Resurrection window in the dramatic and carefully designed 700 seat nave. 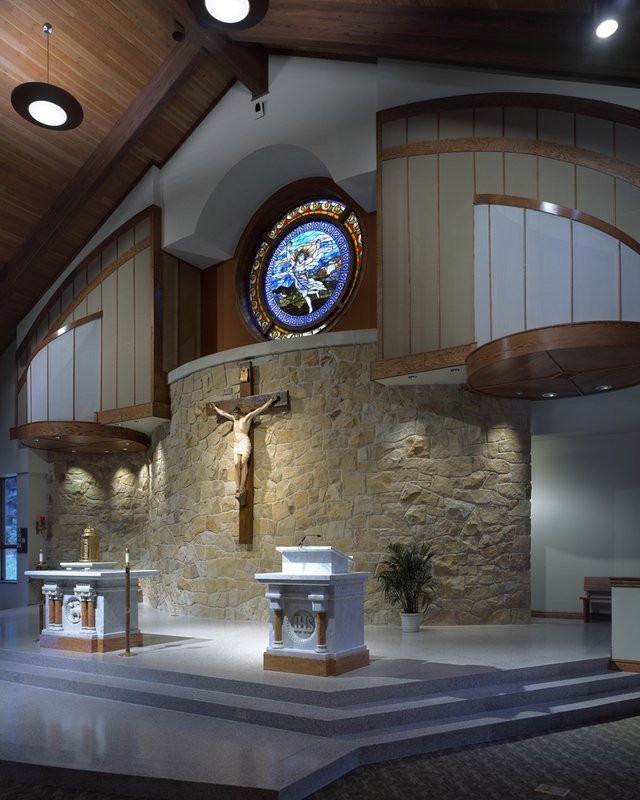 Additionally, the marble liturgical furnishings – altar, ambo, tabernacle table and baptismal font – were designed by RSSC Architecture using components from St. Michael’s main Altar. 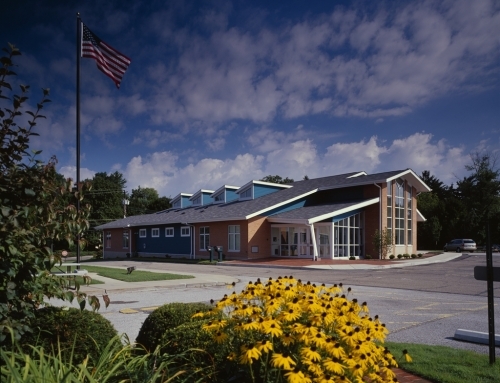 The dramatic forty-five-foot bell tower includes a refurbished bell. 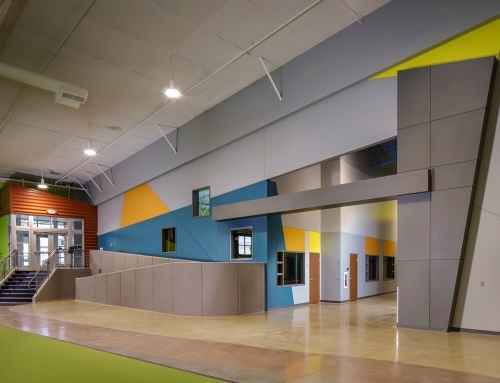 Circular design elements found throughout the building’s interior and exterior serve as a significant part of its beauty, while its brick and stone masonry provide a sound structure with minimal maintenance requirements. 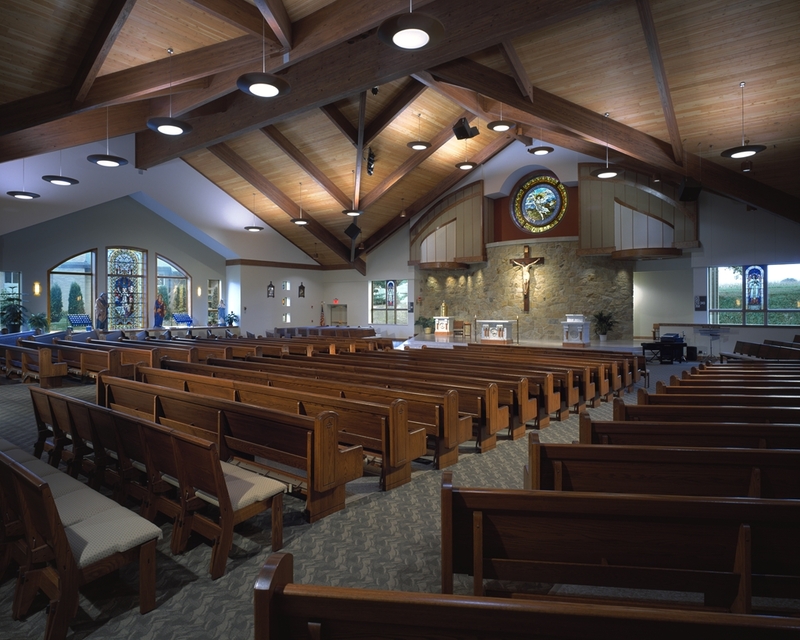 With its religious artifacts and traditional architectural elements, RSSC Architecture brought past and present together to help ensure Holy Sepulcher Parish is well-positioned for future growth.